Via John Cole I find that someone at AP apparently believes that only blacks are taking Inauguration Day off. My office will be closed on Tuesday to celebrate the inauguration. I gave the instructions back in October–if Obama wins we would close. I’m not going to miss that day. If McCain won, some employees thought they should have more time to take off to drink to handle their misery or plan their moves to Canada, but I saw no reason to treat it different from any other day. George Bush was inaugurated on a Saturday so, while I wouldn’t have closed the office for that, I was able to watch on television. I primarily remember the networks following Bill Clinton around for what seemed like all afternoon as he kept talking to people and didn’t want to leave. Ricardo Montalban died earlier today at age 88. 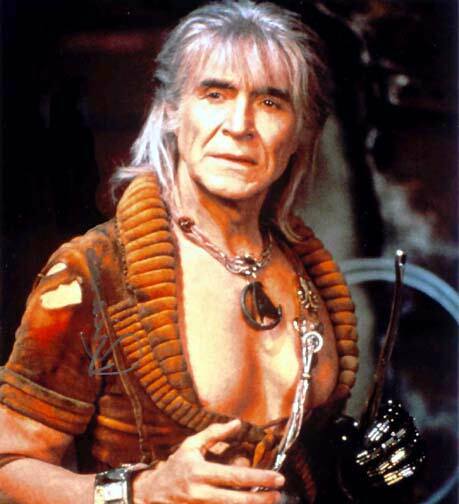 While he is probably best known for his role as Mr. Roarke on Fantasy Island, I will always remember him primarily as Kahn in Star Trek II: The Wrath of Kahn. Patrick McGoohan, who created and stared in The Prisoner, died yesterday at age 80. 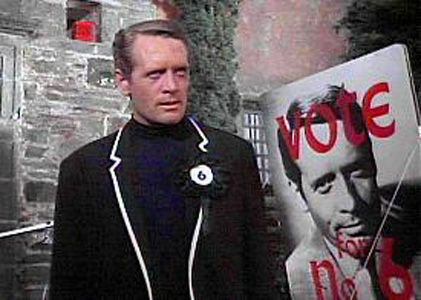 Although only seventeen episodes were made of this miniseries in 1967, McGoohan will always be best known for his role of Number Six. He played a spy (loosely based upon his role in his previous series, Danger Man) who was apprehended and taken to The Village after he attempted to resign. The series remains one of the best television works to examine the theme of the individual versus authority, and is currently being reimagined as a new miniseries to be aired on AMC. In preparation for their new miniseries, AMC has the original series available on line here. McGoohan also won two Emmys for his appearances on Columbo, and more recently appeared as King Edward Longshanks in the 1995 Mel Gibson film Braveheart. The editor of the Anchorage Daily News has responded to attacks from Sarah Palin. I think it is safe to predict that Sarah Palin’s attacks on the media and disrespect for the First Amendment will not be changed. The Spiro Agnew wannabe fails to understand that, while such an attitude will energize the extreme right, it is not a successful long term political strategy. Of course this doesn’t mean that common sense precautions shouldn’t still be employed.